Many holistic veterinarians believe vaccinations create a large percentage of the chronic disease we see in domestic animals, if not most. It is also one of the few things we can really control; whether and how much to vaccinate. Dogs Naturally Magazine covers all these topics regularly so I’ll try to take a unique approach and avoid redundancy. As I write this, I’m preparing to speak at the annual meeting of the American Holistic Veterinary Medical Association on vaccines, vaccinosis and homeoprophylaxis (using homeopathic medicines to prevent disease). Vaccination is a very hot topic today with the documentary Vaxxed still showing in many parts of the country, and the Disneyland measles outbreak still in our rearview mirror; both continue to stir debate and controversy. The line between the pro-vaccine camp and the anti-vaxxers is pretty clear. We need more focus on the harmful effects of vaccination, which are well documented, and the fallacy of thinking unvaccinated children and animals pose a great threat to those who are vaccinated. Many point out how this flies in the face of logic. How can unvaccinated individuals pose a threat to those vaccinated, if indeed vaccines are so effective? Historical data shows most epidemic diseases were already declining before vaccines began, and many books document this fact. Homeopaths believe the best way to boost health is to give the most similar homeopathic remedy, as treatment or prevention, and avoid the potentially harmful effects of vaccines altogether. If vaccinating in the first place is not the best idea, how much worse is the practice of annual re-vaccination or boosters? This common practice has no scientific merit and causes untold damage to animals in the form of chronic disease of all varieties. Homeopathy refers to this as vaccinosis or the chronic disease state resulting from vaccination. Not every animal vaccinated develops vaccinosis but a large number show signs of this mistunement or disease. 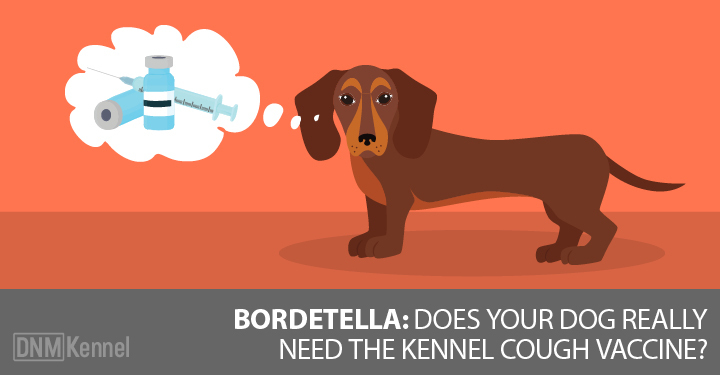 The well-known Purdue Study found that dogs develop autoimmunity to most key proteins in their bodies after a single vaccine, including their own DNA. This explains why most chronic diseases of dogs are believed to have an autoimmune basis. Because of this fact, many chronic problems due to vaccinosis will not respond to any treatment unless we address this condition first. It can be a very persistent obstacle to cure in many animals as it can cause very deep disruption of the life force. But we have to vaccinate, right? Many people are conditioned to think this way (as are many veterinarians) after decades of automatic yearly shots, which are taken for granted without questioning. Ronald D Schultz PhD, who has been studying the e ectiveness of canine vaccines since the 1970s, pointed out the lack of evidence for this approach back in the early 1990s in the veterinary textbook, Current Veterinary erapy XI. I tell my clients this: rabies vaccine is the only legally required vaccine and should only be given to healthy animals, according to the vaccine label. The others are not useful, necessary or required. 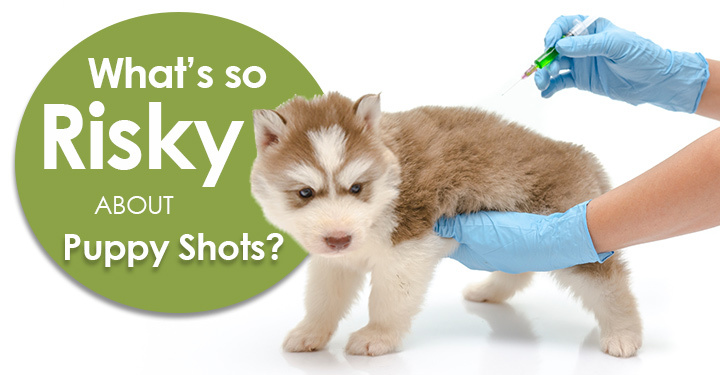 Groomers, boarding kennels and others often make vaccines a mandatory requirement regardless of the animal’s condition. If this becomes a problematic issue for a client, I recommend finding someone willing to work with them or a veterinarian willing to write a vaccine waiver. 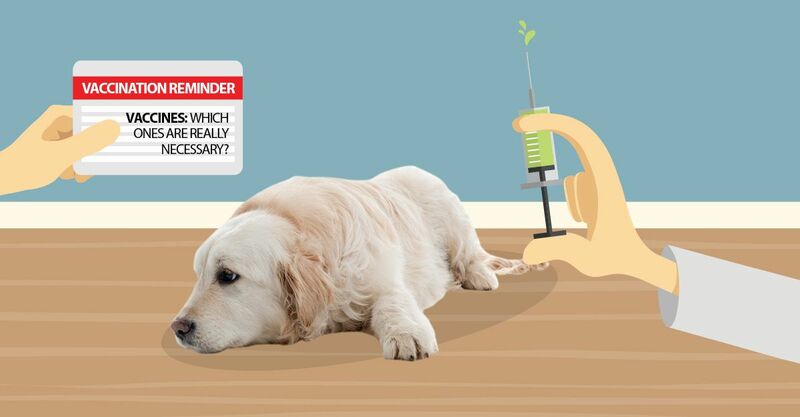 Rampant over-vaccination occurs in the name of policy and causes untold damage to our pets. It’s not unusual for me to see several cases each week involving geriatric animals with chronic disease, who were vaccinated anyway at a recent veterinary visit simply because they were overdue or it was clinic policy. I spend some time explaining to these clients there is a much better way to build immunity instead of vaccination by keeping the immune system intact and well regulated, not confused and dysregulated. Excellent nutrition is the first key. Next, let’s look at the homeopathic option. Homeoprophylaxis involves using homeopathic remedies or speci c types of remedies called nosodes (Greek nosos = disease). Nosodes are homeopathic medicines made from the natural products of disease and can help with immunity. I use them in my practice with good results. They are not given on a typical schedule like vaccines are but to protect in the face of likely exposure. For instance, I recommend that pups get the parvo nosode each week up to at least six months old, when they are most susceptible and likely having frequent exposure to the parvo virus. This works very well in my practice area as described in Dogs Naturally Magazine’s July-August 2014 issue. Several other studies confirm the usefulness of nosodes in controlling diseases in animals including kennel cough and canine distemper. A more recent example of nosodes giving obvious protection took place in Cuba where more than two million people were protected by a nosode for leptospirosis. A reduction in infection of nearly 85 percent occurred after only two doses of nosode in this large population where the disease typically ravages a large part of the population after hurricane seasons. This simple measure essentially stopped the outbreak of this illness, compared to untreated parts of the country. This is a hard fact to swallow for those who continually refer to homeopathy as a placebo. Earlier outstanding results in controlling epidemic diseases led to the dedication of a monument in Washington DC to Dr Samuel Hahnemann, the founder of homeopathy, in gratitude and recognition of the role of homeopathy in controlling deadly epidemic disease in the 1800s and 1900s in many parts of this country. President McKinley performed the dedication in 1900, and the beautiful monument stands proud today. Homeopathy can address the issue of epidemic disease in a way vaccines cannot. This is a very useful fact for anyone dealing with animals and responsible for their wellbeing. To find a good holistic veterinarian, check the directories at theavh.org and ahvma.org.